some previous comments are needed before I began to show the stamps... 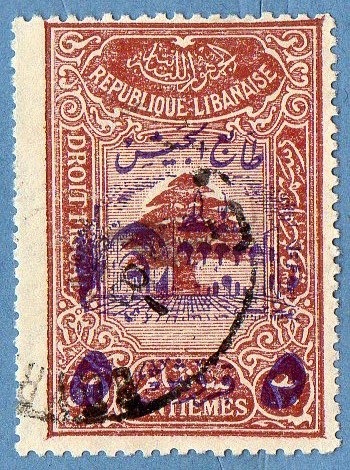 The first stamps from Lebanon are like those of Morocco , Algeria and Tunisia, from French Origin ( stamps issued in France with Local Overprints or issued with different Country labels...)... following these French stamps, we have some others with the Label "Grand Liban"... Then appeared the label "Republique Libanaise" and finally "Liban".. Lebanon was occupied by French Forces after the WWI and achieved independence in 1942..
two stamps from the series above overprinted in the 1st case and surcharged in the 2nd..the first stamp present us a group of two distinct overprints.. the stamp was from the series "Views from Lebanon 1925" and was Overprinted in 1927 with a Bar over "Grand Liban" and the French Label "Republique Libanaise" below... in 1928 the stamp received a second Overprint with a bar over the existing Arabic Labels at the bottom and adding new Arabic Labels above the Bar.. This is a Great Stamp! !..definitely the Great highlight of this post.. the paper, the design and the engraving are perfectly combined to result in a Great stamp...! Representing President Emile Eddé , the stamp is designed by Philipe Mourani and engraved by the Master Henry Cheffer ..Cheffer don't need an introduction, it's one of the Best designers and engraver's and that's it..!! 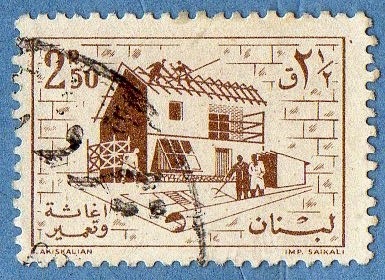 Philipe Mourani was a French painter, who traveled through the Orient ,North Africa and Meddle East , becoming an Orientalist , learning Arab language and writing ,and rapidly acquiring a great level of expertise....he designed several stamps for Lebanon, that turn out to be his home base to his endless travels...It is curious that Joseph De La Neziere had a similar life path.. 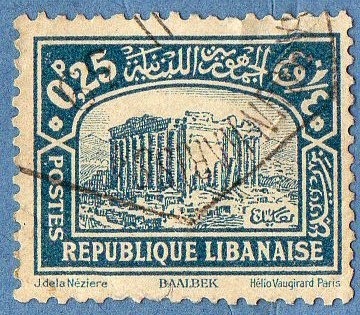 Here are 3 of the 20 (more or less) different designs of the famous "Cedar of Lebanon" , image of the Country... the designs can differ in the design of the tree itself or , just the background or background and frames or just frames...the first 2 stamps are identical and from the same series of 1937 and are also work of the Designer Philipe Mourani ..the first representation of the Cedar appeared in the series of the "Grand Liban" from 1925...the last 2 stamps are work of one of the most important designer of Lebanese and Syrian stamps.. i'm talking of the Russian Paul Koroleff..
this is a stamp from 1945 and this time it behaves like a War stamp ; it is surcharged with a beautiful Violet Surcharge, but in this case it is not clearly visible, it is somehow 'blurred'...I leave here an image of the surcharge because I think it is one of the most beautiful I ever found..
the stamp itself represents once again the "Cedar of Lebanon" and is surrounded by Beautiful Arabic motifs.. 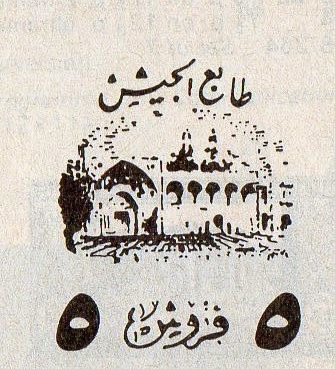 These are some stamps representing views from Lebanon, and are from several different series.. 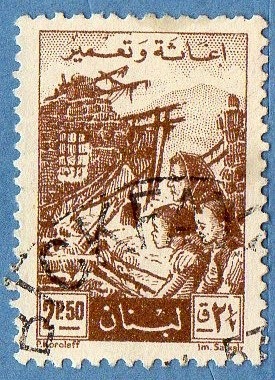 I will just present the technical data and Sc code, because there isn't much more to say about them..
To end this post , I have some stamps from the most famous series from Lebanon.. it is one more series with views of Lebanon and it is from 1961.. The series has 9 stamps for current postage and other 9 stamps for Air Mail..
1)2) The first and 2nd groups are current postage mail stamps.. two stamps of the 2.50P are presented just to highlight a color difference between Ultramarine blue and some Dull blue..
OK.. it is the end of this post.. hope you like it..! 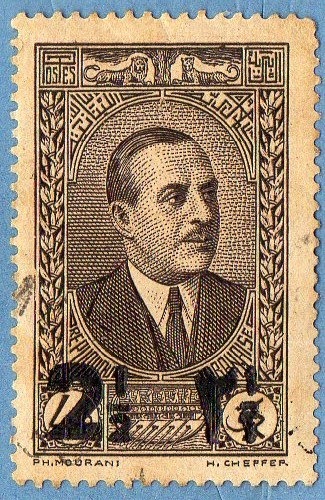 Hello my friend, I would like to share my blog about philately in general, http://filateliabernardi.blogspot.com.br/). Congratulations for your blog, very interesting. I'll be putting your blog in my favorites. Thank you very much!